Israel has a strategic interest in, and long-standing commitment to, the safety, security, stability and prosperity of the Hashemite Kingdom of Jordan. 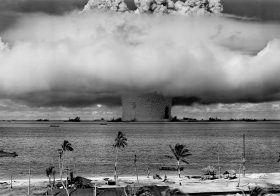 In current times, the relationship is buttressed by a broad-ranging series of cooperative ventures in the strategic, security, diplomatic, economic and energy fields. EXECUTIVE SUMMARY: Israel has a strategic interest in, and long-standing commitment to, the safety, security, stability and prosperity of the Hashemite Kingdom of Jordan. In current times, the relationship is buttressed by a broad-ranging series of cooperative ventures in the strategic, security, diplomatic, economic and energy fields. An important common thread runs, if sometimes invisibly, through a number of apparently unrelated policy decisions and actions made by Israel in recent years. All have to do with Israel’s strategic interest in, and long-standing commitment to, the safety, security, stability and prosperity of the Hashemite Kingdom of Jordan. Among the decisions and actions that fall under this rubric are the understandings reached as to the maintenance of the status quo in the Temple Mount/ Haram al-Sharif compound; strategic advocacy on regional affairs with friends in Washington (particularly on Capitol Hill) and elsewhere; the stance taken by Israel towards the challenge posed by the so-called “Islamic State”; actions taken to prevent Iran and Hizbullah, directly or by proxy, from gaining a steady hold in the Golan, particularly in its southern parts; and the construction of a physical barrier along segments of Israel’s border with Jordan. It also includes economic policy matters such as the Netanyahu government’s often bitter political struggle (against a rising tide of populist resistance) to ensure the ability to export gas from Israel’s offshore fields; maritime trade arrangements with Turkey and new provisions for traffic at border crossings, as well as Israel’s over-flight policy; ongoing policy on water allocation to Jordan, well beyond the requirements of the Israel-Jordan peace treaty; and a move to implement the Red-Dead (Red Sea to Dead Sea) water carrier plan, including a planned large desalinization plant in Aqaba (which would facilitate mutual water supplies). The stability and prosperity of Jordan has been a central element of Israeli national security policy for three generations of Israeli leaders – despite the wars of 1948 and 1967, and despite other times of tension. In 1958, David Ben-Gurion facilitated steps taken by the West to help the Kingdom resist the pressures of Nasserist radicals. In 1970, Golda Meir – in close coordination with the US – was willing to risk war in order to compel Soviet-backed Syrian forces to reverse their invasion of Jordan. (This move was successful). Similarly, Yitzhak Shamir reached understandings with King Hussein during the Desert Storm crisis of 1990-1991, despite Jordan’s ambivalent position towards Iraq at the time. 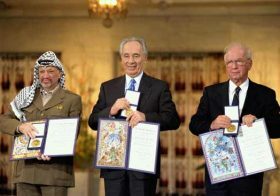 The peace treaty of 1994, under Yitzhak Rabin’s leadership, brought into broad daylight what already had been an enduring relationship. Today, Israeli policy makers are better positioned than ever to translate this pillar of national policy into practical and positive measures, as listed above. Despite visible signs of Jordan-Israel tensions during the troubled summer of 2015, new and concrete understandings between the two countries recently have been reached at the highest political level (with the US Secretary of State in the loop). 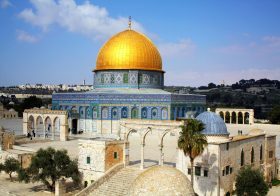 This includes an understanding to uphold the status quo on the Temple Mount/ Haram al-Sharif Compound and to curb and reduce the impact of provocateurs. Despite efforts by Palestinian Authority elements to subvert these arrangements, Israeli-Jordanian cooperation has led to a reduction of tensions surrounding the compound, even if Palestinian violence (and PA incitement) has yet to abate. This should come as no surprise. 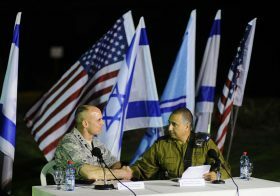 A persistent and profound recognition of mutual interests (and mutual enemies) has led both countries – regardless of who has been in power in Israel at any given time – to seek strategic understandings and remove causes of tension. Moreover, this has been translated over the years into a systemic commitment by Israel – and by Israel’s friends, in Washington (particularly in Congress) and in other Western capitals – to advocate on behalf of Jordan’s military capacity, social stability and economic prosperity. While the Israel-Jordan QIZ (Qualified Industrial Zones) have became mostly irrelevant since Jordan concluded her own free trade arrangement with the US, Israeli assistance to Jordan in other forms – above all, helping Jordan cope in recent years with the immense influx of Syrian refugees – remains crucial, and recent allocations in the US budget reflect this understanding. Significant segments of Israeli society are aware of, and engaged in meeting, this challenge. Several Israeli NGOs as well as youth movements are playing a role – never overt, but still symbolically significant – in providing elementary support for Syrian refugees in Jordan. Amidst all this, Jordan has been able to play a major role, both as a participant and as a host country, in coalition efforts against the so-called “Islamic State” (IS). The horrifying execution of the captured Jordanian pilot, Mu’az al-Qasasbah – one of the most graphic demonstrations of IS disdain for the common values of humanity – did not deter Jordan’s king or people. Israel, for obvious reasons, plays no direct role in these ongoing efforts. Yet it is safe to say that the benefits of cooperation under the Israel-Jordan peace treaty make it possible for Jordan to make this vital contribution to the global effort against IS. However, the “Caliphate” of the man who calls himself Abu Bakr al-Baghdadi is not the only common enemy. Iran’s ambitions for revolutionary (and Shi’a) hegemony encompass a directive by Supreme Leader Ali Khamene’i to turn the West Bank into “the next Gaza”, i.e., a terror camp, in active pursuit of Israel’s destruction. For this to happen, it is necessary first to infiltrate Jordan and turn her territory into “the new Sinai”, an open conduit (as has been the case until recent Egyptian actions) for the supply of arms, explosives and munitions. It is thus a mutual interest to do all that can be done to ensure that Iran and her proxies gain no stable foothold on the Syrian side of the Golan. High policy and security cooperation need to be complemented by closer Israel-Jordan ties in other fields. Over the last decade in particular, the benefits of the peace treaty (the “Peace Dividend”) have became more visible. The growing needs of Jordanian society (and the swelling wave of refugees) require better infrastructure, especially energy and water supply. Water already is supplied to Jordan by Israel well beyond the amounts stipulated by the Arava Valley Peace Treaty. Once the February 2015 “Red-Dead” plan is fully implemented, nearly 100 million cubic meteres (mcm) of water will be provided from Israeli sources in the north – which is double the present amount, and a significant part of Jordanian consumption. Half of this will be supplied in return for water to Israel’s Eilat area which will come from a planned 65 to 80 mcm desalinization plant in Aqaba. 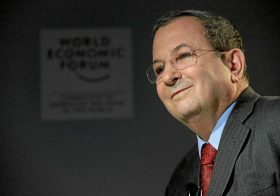 Indeed, a vision of cooperation drove the leadership on both sides (– credit is due here to outgoing Deputy Prime Minister Silvan Shalom) to finalize the plans to connect the Red Sea with the Dead Sea by a saltwater carrier. (This also will help save the receding Dead Sea). Part of the plan is the construction in southern Jordan of a major desalinization plant, serving people on both sides of the border – and by freeing-up water supplies in the north, enabling Israel to provide water also for Palestinian needs. By now, gas supply is also within reach, with a small Israeli supply line already being completed to the Jordanian Dead Sea Works; to be followed by a major line for general consumption. Part of the fierce internal debate in Israel over the “outline” for use of Israel’s offshore gas fields involved the strongly-held position of the government in favor of exporting gas to neighboring countries and peace partners, with Jordan at the top of the list. There are additional arrangements under discussion to enhance stability and prosperity in Jordan. The conflict in Syria has made overland traffic from Jordan through Syria to Turkey and Europe all but impossible. Jordan’s trade and economic growth has suffered tremendously. So Israel is investing in a large-scale trade route from Turkey to Jordan (and points beyond) through the Israeli port of Haifa. While some technical difficulties remain, the initiative to enable this route has overcome various bureaucratic and operational barriers, in line with the realization that this is a vital Jordanian interest (and despite serious tensions in Israeli-Turkish relations). Similarly, provisions have been made for Royal Jordanian and other airlines to use Israeli airspace, greatly simplifying traffic to Amman. It is against this general background of cooperation and commitment that the decision by Israel to build (in a modular manner) a fence, along segments of the border with Jordan, should be read and interpreted. Israel is not turning its back on its neighbor, nor is this an indication that Jordan is a danger of collapse. Rather, it is another tool designed to enhance mutual security. By severely reducing the temptation to use Jordanian territory as a route of infiltration – now that the direct route from Sinai has been all but hermetically closed – this new barrier will actually help Jordan cope even more effectively with African migrant workers, drug traffickers, and others who abuse the present conditions. Israel’s experience along its relatively new barrier with Egypt indicates that cooperation actually has been enhanced with the Egyptians, rather than eroded, since the barrier construction. Overall, it is safe to say that Israeli-Jordanian relations, despite some points of friction and the pressures of “anti-normalization” groups, will continue to thrive, and the mutual interests will continue to be translated into practical aspects of cooperation. 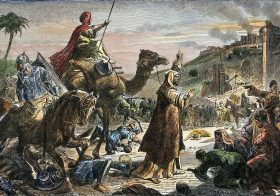 Hopefully, over time – and certainly, if and when the Palestinian position will once again make peace negotiations possible – this strategic building block can find its proper place in a broader regional security architecture. Maj. Gen. (res.) Yaakov Amidror is the Anne and Greg Rosshandler Senior Fellow at the BESA Center, and former National Security Advisor to the Prime Minister. He is also a fellow at JINSA’s Gemunder Center for Defense and Strategy. Col. (res.) Dr. Eran Lerman is a senior research associate at the BESA Center, and former deputy for foreign policy and international affairs at the National Security Council. Photo: Israeli Prime Minister Netanyahu with Jordanian King Abdullah. Credit: Moshe Milner, GPO.